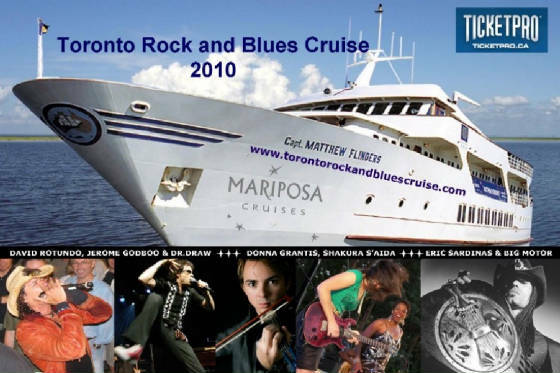 Toronto Blues was proud to present the launch of the Toronto Rock and Blues Cruise in 2010. Featuring artists such as Jerome Godboo, Jimmy Helverson, Dr. Draw, Shakura S'Aida, Eric Sardinas & Big Motor and the David Rotundo Band the shows were a huge success with many memorable moments! the unique wonder of Dr. Draw with Jerome Godboo and David Rotundo. The jaws hitting the deck almost sank the ship! We took a hiatus for now but look for us in the future!